To upload an order you first need to export it out of c9. Exporting is similar to printing except it is saved as a file on your computer which is then to be uploaded into Honda Dealer.NET website. Spares -> Orders -> Export. 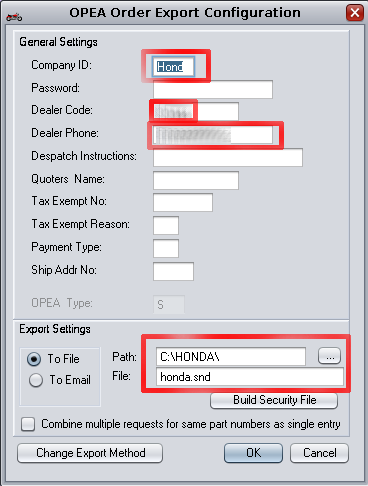 Select honda order you want to export. Export Settings: Setup a folder and file name. c:\honda\ and honda.snd works fine. 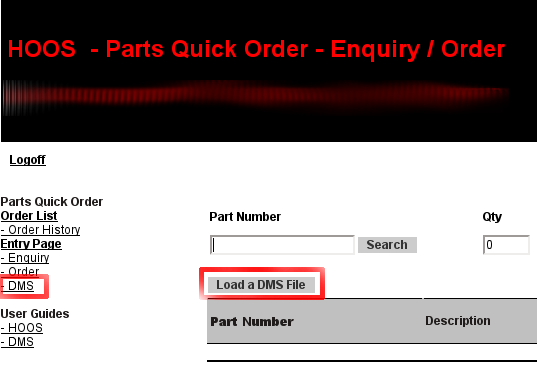 Under parts click on "Parts Quick Order" - this will take you to HOOS system. From here you can then accept/approve order. Order should now be submitted.